Why go? For jaw-dropping mountain vistas, emerald-hued lakes and ancient glaciers. The drive into the heart of the Canadian Rockies, along the Icefields Parkway and through the Banff and Jasper National Parks, is one of the world’s great road trips. And the adventures don’t stop there. From walking on air at Alberta’s latest attraction, the Glacier Skywalk, to trekking over glaciers, riding in cable cars, heli-hiking and motorcycle tours, there are thrills aplenty. Not to mention the heritage hotels, soothing hot springs and countless wildlife-spotting opportunities. When… There are two distinct seasons. 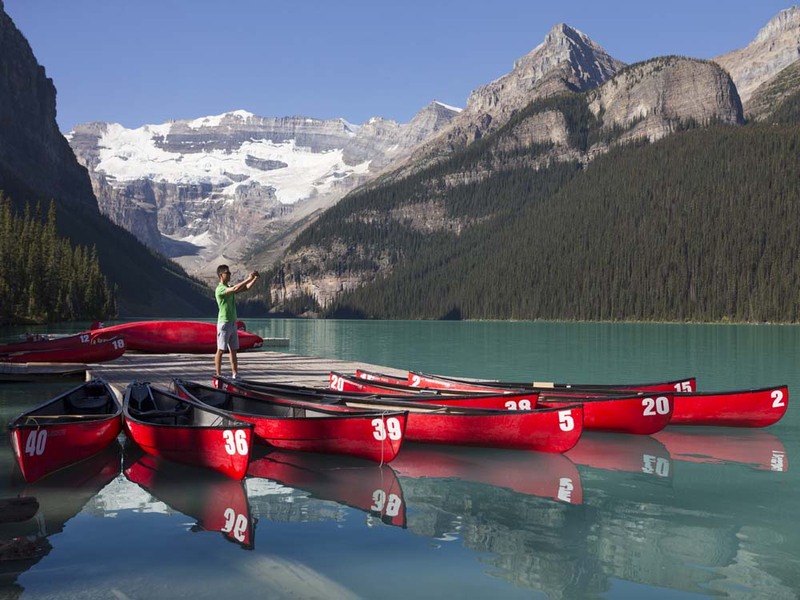 Summer activities start when the snow thaws – generally from May to October – while ski season runs from November to the end of April, sometimes later at high-altitude resorts like Lake Louise. You really must… Go west. It’s a 90 minute drive from Calgary to Banff, a pretty town flanked on all sides by the Rockies. Its got art galleries, a museum and buskers in the summer, and its residents live on streets named after animals. Mountain Goat Lane, Cougar Place and Grizzly Street are a few to inspire your wildlife wish-list. There are plenty of opportunities for elk, deer, mountain goat, moose and bear sightings in the area, and you can ride to the 7,486ft summit of Sulphur Mountain on the eight-minute Banff Gondola (£19 return, banffgondola.com), with panoramic views over the magnificent landscape, or take a helicopter tour (from £235, rockiesheli.com) that includes some off-the-beaten-track hiking. And don’t leave town without a dip in the historic Banff Upper Hot Springs (£4, hotsprings.ca), a steaming 40°C outdoor pool surrounded by spectacular alpine scenery, where you can rent traditional 20s-inspired bathing suits. 36 miles northwest of Banff is Lake Louise, a glorious emerald lake closely guarded by six soaring glaciers, including Victoria, which stands majestically at 5,680ft. During winter, when the water freezes over and turns crystal white with snow, you can skate beside its ice castle centre-piece, go dog sledding and take sleigh rides round the rim. 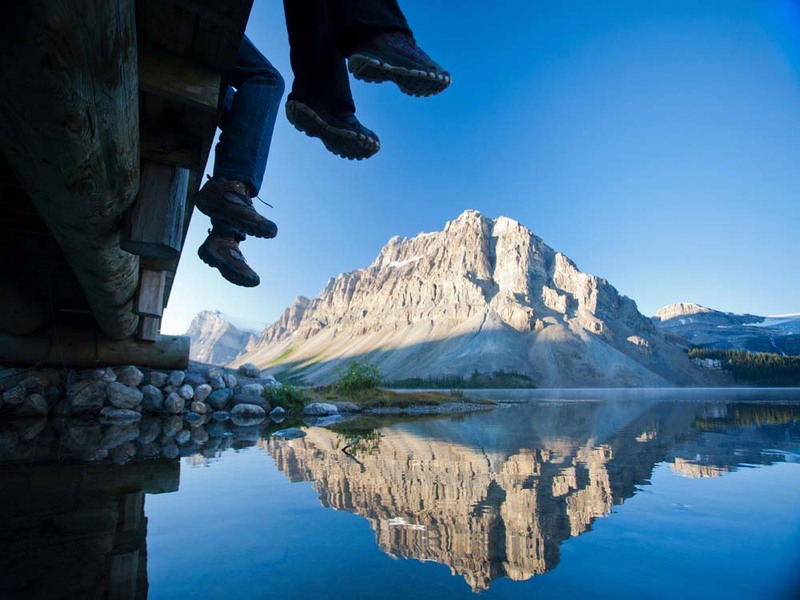 In summer, explore the lake in a canoe (£30 for an hour) or trek along forested trails past cascading waterfalls to tea houses such as Lake Agnes (lakeagnesteahouse.com) and Plain of Six Glaciers that serve homemade soups, freshly-baked bread and homely apple crumble. The Icefields Parkway (icefieldsparkway.ca), running along Highway 93 and linking Lake Louise with Jasper, is one of North America’s great scenic roads. You can drive it in three-and-a-half hours, but that wouldn’t do this amazing journey justice, so take time to stop along the way. If it’s exhilaration you’re after, brave the newly-opened Glacier Skywalk en route at the Columbia Icefields (£14, open till 19 October, glacierskywalk.ca), a horseshoe-shaped cliff-edge walk jutting 115ft out over the Sunwapta Valley. All that separates you from the 918ft drop is a glass floor apparently strong enough to take the weight of a jumbo jet. If that’s not adrenalin-inducing enough, jump up and down and feel the deliberate wobble inspired by London’s Millennium Bridge. 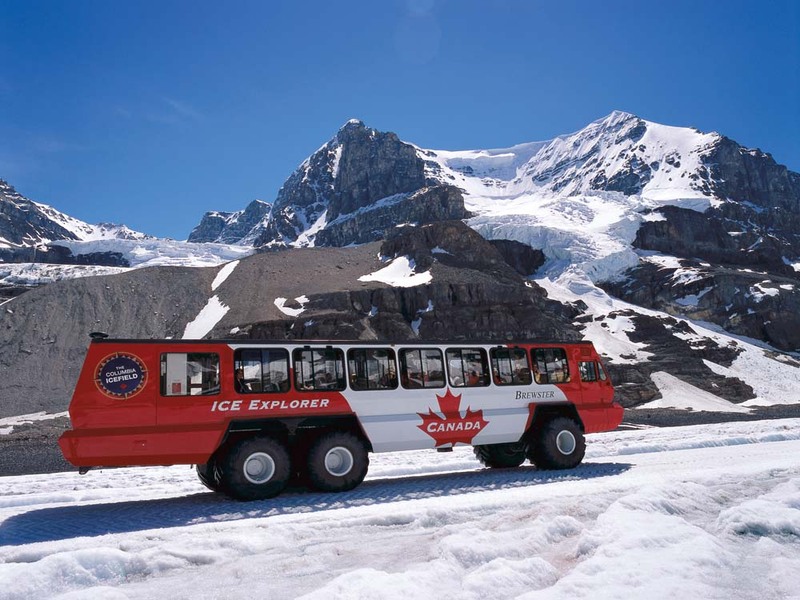 Buses whisk passengers to and from the attraction from the visitor centre, where you can also take a Columbia Icefield Adventure Tour (£27, brewster.ca). Here you hop on a hulking Ice Explorer vehicle and bump along one of the steepest unmade roads in North America to the Athabasca Glacier. When you reach the stop, step off and explore the vast, frozen landscape. The air doesn’t get much fresher than this and neither does the water, so take an empty bottle and fill up from the stream flowing down from the summit. From the Icefields, continue northwest to Jasper past goats grazing on ridges and waterfalls with names like Tangle Creek. This is bear country, a dramatic, wild and mountainous valley carved out by the wide, open Athabasca River that flows to the Pacific in one direction and the Arctic in another. To get an idea of the sheer scale of your surroundings, take the seven-minute flight on the Jasper SkyTram (£19, till 13 October, jasperskytram.com) to Whistlers Mountain and look down at the towering firs, now dots on a beautiful landscape of mighty peaks, raging rivers and gleaming lakes. Enjoy the silence and a stillness that’s only occasionally interrupted by the endless carriages of a passing freight train snaking through the valley below, or trek to the summit and feel like you’re on top of the world. Jasper, the small, buzzy ski town below, has quirky stores and elk roaming freely by the roadside. There’s plenty to do in summer from white-water rafting to wildlife discovery tours (sundogtours.com), and the iconic Maligne Lake is just an hour’s drive away. Here you can take boat trips to enchanting Spirit Island (£35, until 5 October, malignelake.com) and enjoy the Rockies from a different perspective. There are numerous excursions to Maligne from Jasper, but it’s great fun to arrive in the sidecar of a Harley. Jasper Motorcycle Tours (£114 for three hours, jaspermotorcycletours.com) will kit you out in leathers complete with bandana and cosy heated waistcoat, and the thrill of whizzing along steep mountain roads with the breeze in your hair is pretty unbeatable. Stay at: Deep in Kananaskis country, an hour’s drive from Calgary, en-route to Banff National Park, The Delta Lodge at Kananaskis (doubles from £110, deltahotels.com) is set at the base of majestic Mount Kidd with 412 comfortable rooms and suites with walk-in showers and Philosophy toiletries. 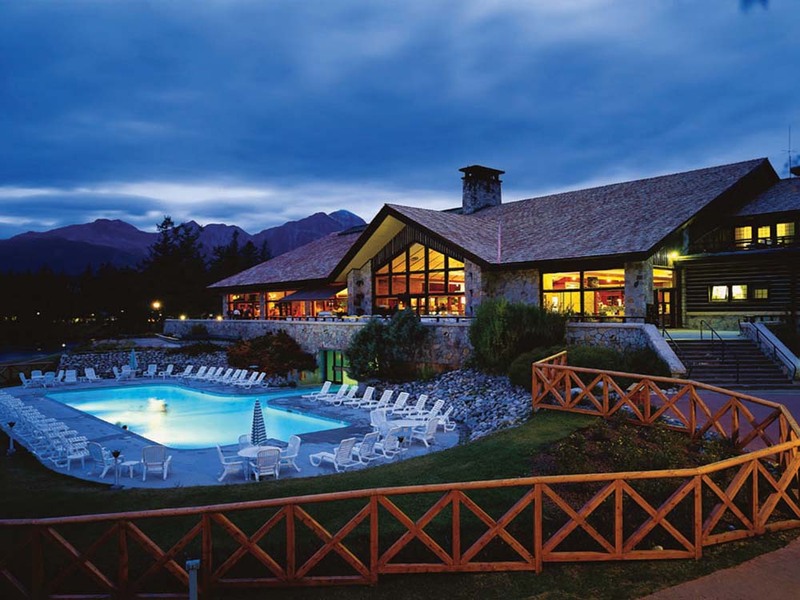 There’s also six restaurants, a spa, pool, hot tub and terrific mountain vistas. For something special, splash out on a lake view room at the Fairmont Chateau Lake Louise (from £395, fairmont.com/lakelouise). The hotel began life in 1890 as a log cabin sleeping 12 and has since morphed into a 550-room luxury resort, yet it still retains a bygone aura. There are shops, a spa and six restaurants, but it’s the spectacular setting that steals the show and has made it a popular destination for Hollywood stars and royalty. Another celebrity favourite is Fairmont Jasper Park Lodge (from £322, fairmont.com/jasper), a 700-acre resort on the shores of Lac Beauvert where the deluxe rooms with sitting area have comfy king-sized beds and lakeside views. Take time to walk or cycle along the water’s edge, where elk graze and bear sightings are not uncommon, unwind in the outdoor pool or sip cocktails on the terrace overlooking the picture-postcard blue-green lake, complete with heavenly Rocky Mountain backdrop. Dine at: With views out to the Three Sisters mountain range, The Iron Goat Pub & Grill (irongoat.ca) boasts the best patio in Canmore and its game burgers (made of bison and elk topped with pepper jack cheese and barbecue sauce) and craft beers are excellent. Fondue and fine wine are on the menu at Fairmont Chateau Lake Louise’s Walliser Stube, a cosy Swiss-style restaurant complete with wooden cuckoo clock. For a more casual ambiance, Evil Dave’s Grill in Jasper (evildavesgrill.com) serves ‘devilish’ dishes with names like ‘Crazy Calamari’ and ‘Malicious Salmon’, as well as a mean ‘Sweet Revenge’ cocktail. If you’re staying at the Fairmont Jasper Park Lodge, save room for dessert and head down to the fire-pit beside the lake for s’mores (toasted marshmallows sandwiched in a biscuit with chocolate sauce) under the stars. Bring home: Maple syrup for pouring over pancakes to recreate the Canadian breakfast, a rekindled love of the great outdoors, and a bear pic on your mobile phone – every Albertan has one! Book now: Air Canada (aircanada.com) has daily direct flights from London Heathrow to Calgary, from £995 return. Frontier Travel (020 8776 8709; frontier-canada.co.uk) offers a seven night Canadian Rockies package from £2,395 per person, based on two sharing and including return flights from Heathrow, car hire, four nights at Fairmont Chateau Lake Louise and three at Fairmont Jasper Park Lodge, plus tickets for the Columbia Icefield Adventure Tour and Glacier Skywalk. Price valid for July 2014. Info: See travelalberta.co.uk and keepexploring.ca. Canadian Rockies (£11.99; Moon Handbooks) covers the region.